Thank you for participating in this important study for Boulder County & Surrounding Area Residents about bear management policy preferences in Boulder. We need to hear from you to better inform the city, and to help ensure that bear management policies are in alignment with community needs and expectations. The survey should only take 5-10 minutes to complete. Thank you for your time! 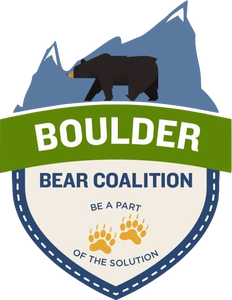 Boulder Bear Coalition, a non-profit and community-lead organization, is actively working with city and state officials to reduce human-bear interaction and improve the way bears are managed in Boulder. Click the ‘Next' button or '>' to get started.